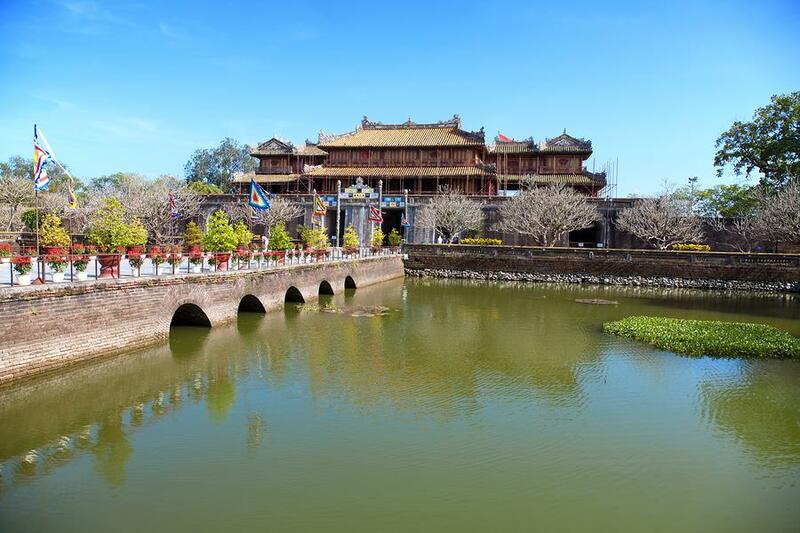 Experience the sights, sounds and tastes of Vietnam on this incredible 14 day, 13 night tour of some of Vietnam’s most popular regions and attractions. 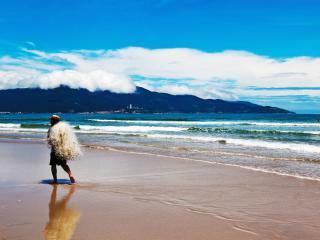 From a unique homestay experience in Hanoi to scenic trekking in Mai Chau, it’s sensory overload around every corner! 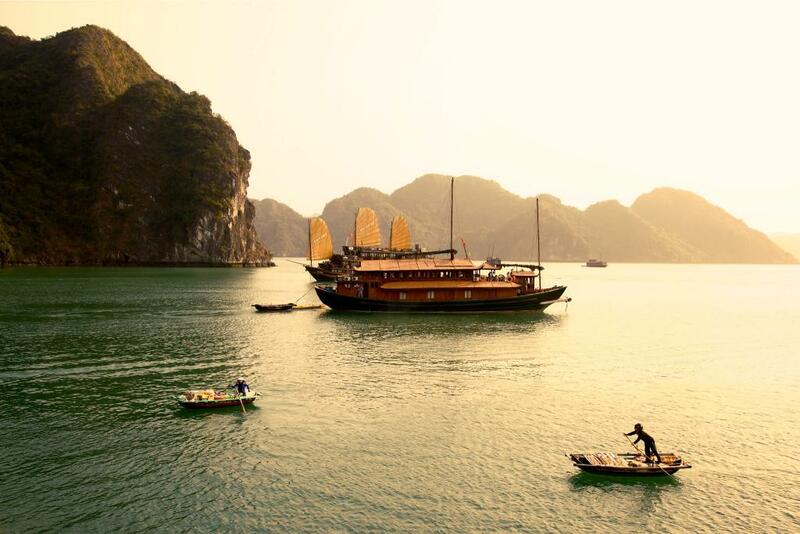 Experience the incredible beauty of Halong Bay and marvel at the ancient town of Hoi An. 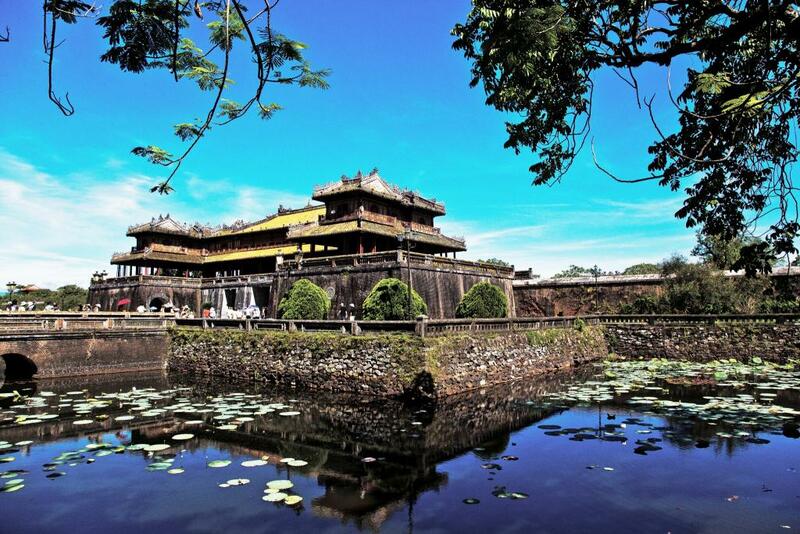 Enjoy an unforgettable royal dinner in Hue after an exciting day visiting the tomb of Minh Mang Emperor. Display daring at the Cu Chi Tunnels of Saigon before a memorable cruise along the Mekong Delta. 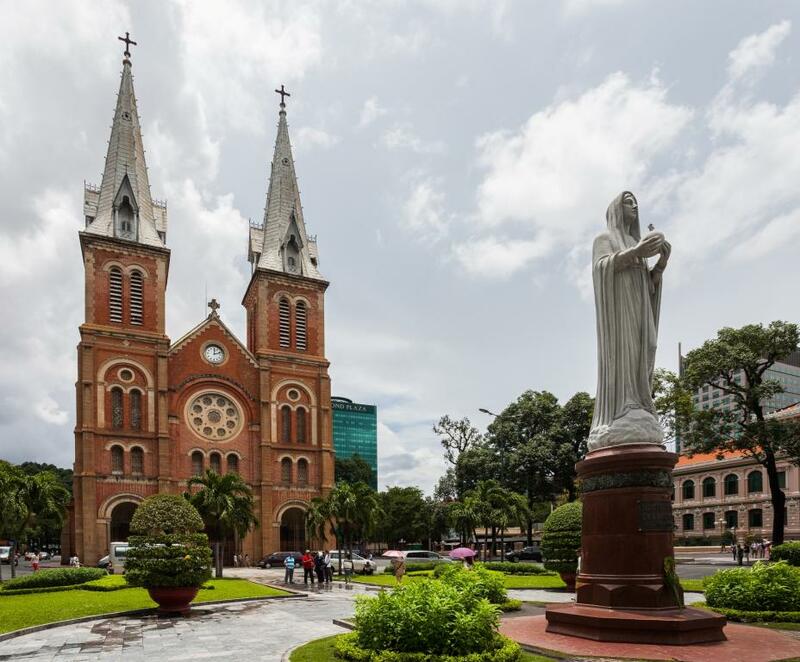 Enjoy plenty of time to arrive at your leisure and be welcomed by your guide at Hanoi Airport before being transferred to your hotel for check in from 2pm. 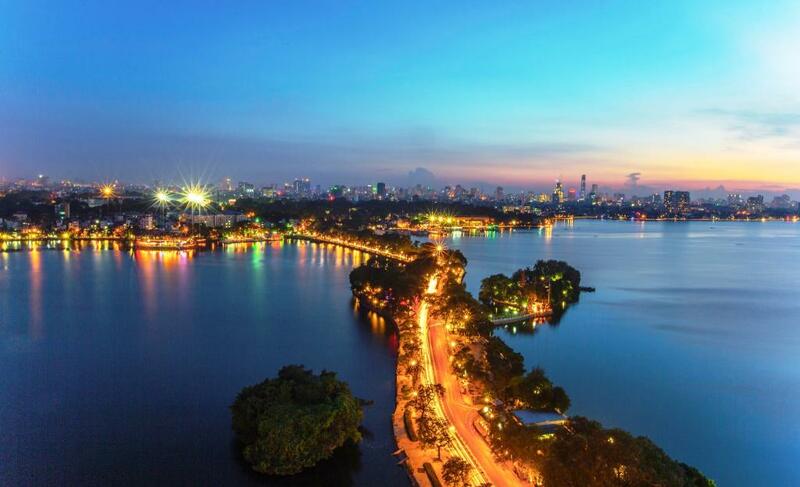 The afternoon is yours to explore Hoan Kiem Lake and the traditional streets of the Old Quarter before being picked up by your guide for dinner at a local restaurant. Return to the hotel for your overnight stay. 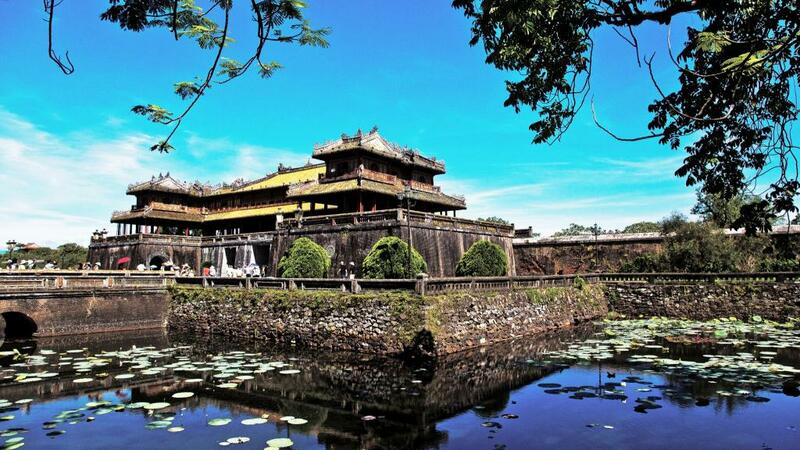 Your first full day of the tour explores the capital city of Vietnam including Ho Chi Minh Mausoleum, the traditional stilt house and the famous One Pillar Pagoda as well as the thousand year old Temple of Literature, Vietnam’s first university. In the afternoon choose from either the Ethnology Museum (closed on Mondays) to discover the many ethnic groups of Vietnam OR visit the Vietnamese Women’s Museum to understand traditional culture, marriage customs, childbirth and family life as well as traditional women’s clothing and the role of women in the defence of the nation. Finish off the day exploring the 36 ancient streets of the Old Quarter where peddlers have traded for centuries. The day ends with the uniquely northern Vietnamese art form of a Water Puppet Show which depicts episodes of national history and scenes from rural life. Return to the hotel for your overnight stay. 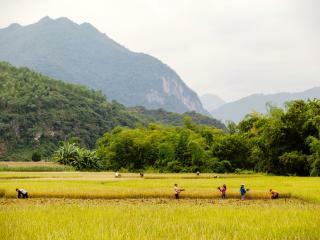 This morning you head northwest of Hanoi for Mai Chau. 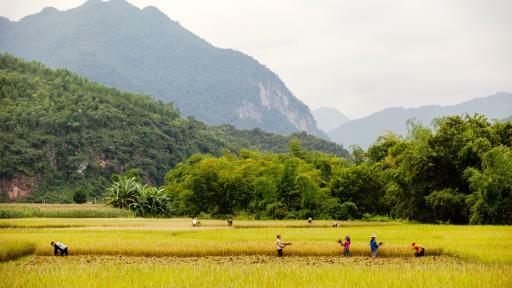 The 4 hour drive travels along a picturesque road through the beautiful valley to Mai Chau, an area home to minority white Thai for several centuries. Arriving in Mai Chau you continue on to the remote village of Buoc where you will be welcomed into a traditional Thai person’s home on stilts which will be your accommodation. After lunch, a light biking tour (approx. 1.5 hours) offers plenty of opportunity to enjoy the relaxing atmosphere of the hills, mountains, rice fields and local farm workers and meet some of the locals, learning about their daily life. You’ll then return to your homestay for dinner and your overnight stay. After breakfast, get ready for the 3 hour trek to a beautiful local waterfall, enjoying the magnificent scenery along the road on the way. There will be time to swim and feel the power of the waterfall so don’t forget to bring your swimsuit. 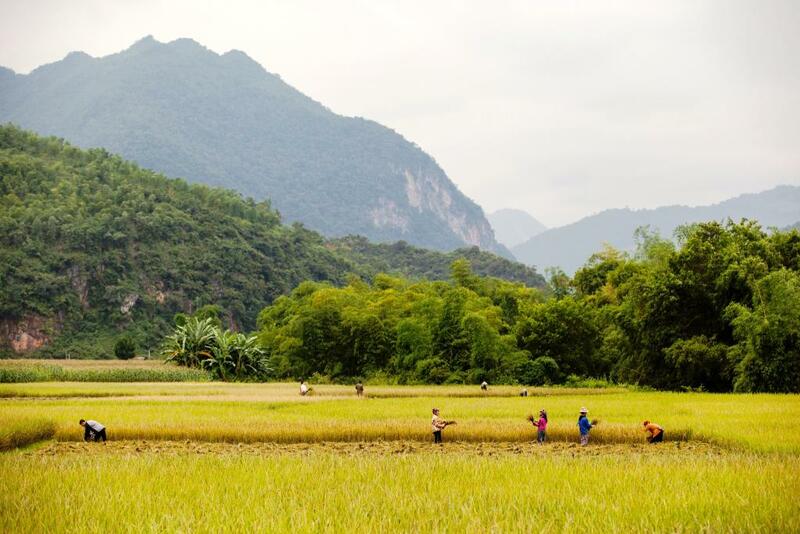 Enjoy a picnic or return to your homestay for lunch and time to relax at your leisure or explore the surroundings of Mai Chau in the company of your guide. You’ll then return to your homestay for dinner and your overnight stay. In the morning, you’ll be transferred to Cun Pheo Village, home of the Muong People, then begin light trekking along the big trail to Van village where you will pass by the village and rice fields, trekking along the hillside. Returning to the homestay for lunch you’ll then be transferred back to Hanoi. Arriving late afternoon you’ll have some free time to relax after the long drive. Enjoy dinner on your own before returning to the hotel for your overnight stay. 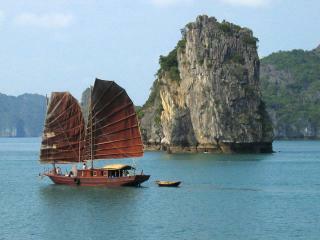 Leaving Hanoi in the morning you head straight to Halong Bay. 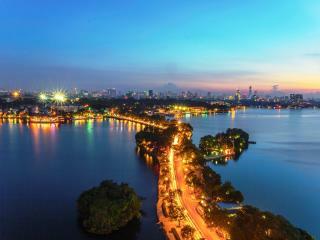 The 4 hour drive is rewarded by the spectacular views of this stunning UNESCO World Heritage site with 3,000 islands of towering limestone that dot the bay and Gulf of Tonkin. 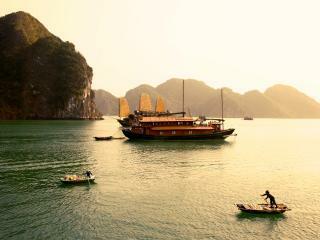 From here you’ll board a traditional wooden ‘junk’ boat to begin your exploration of magical Halong Bay. One of the premier tourist destinations in Southeast Asia, you’ll also enjoy a delicious fresh seafood lunch, with dinner also served on the boat. Overnight on board the comfortable and charming ‘junk’ boat. Start the day off early if you want to see the aquamarine water of Halong Bay at its best and then after breakfast, marvel at the spectacular limestone formations as the ‘junk’ boat continues to quietly glide through the water, offering the perfect peacefulness for sailing among the unique bay islands. 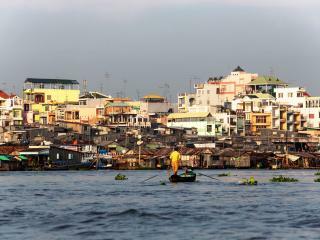 Returning to Halong Harbour for your transfer back to Hanoi Airport you’ll catch your flight to Danang. 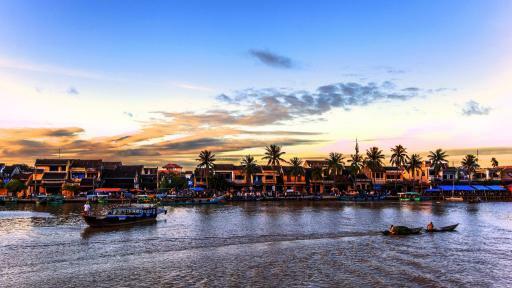 Upon arrival in Danang you’ll be welcomed by your driver and transferred, along with your guide, to your hotel in Hoi An for your overnight stay. Catch a boat ride up the Thu Bon River to arrive at the Kim Bong village where you can talk to the locals and learn about local carpentry. 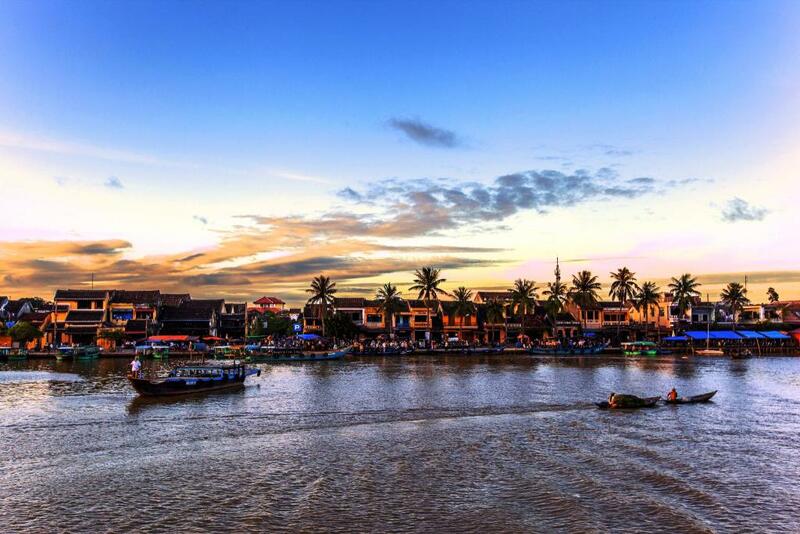 Ride a bike to visit the beautiful Duy Vinh village famous for the weaving of sedge mats. Continue to explore the area by visiting some local fishermen and enjoying a lunch with a local family which is prepared by them. 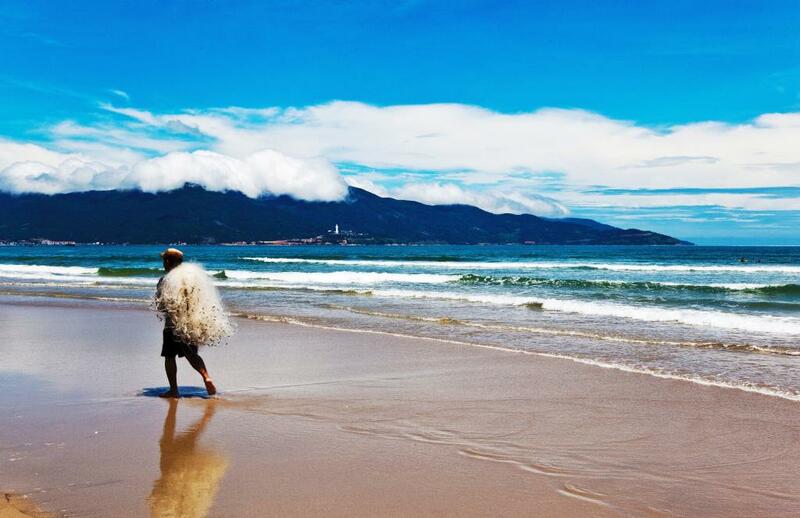 This morning you’ll depart for Hue travelling by car along the scenic Hai Van Pass where you’ll enjoy spectacular views of the central coastline from the summit. 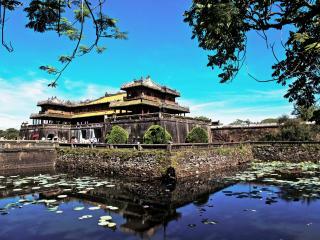 Arrive in Hue around noon and spend the afternoon exploring the home of the royal family at an impressive Citadel. Walk by the Dong Ba Market on your way back to the hotel at the end of the day. Be welcomed into the lovely house garden of a local Vietnamese couple in Hue. Enjoy a guided tour of the property before joining a cooking class where you will learn to cook a selection of traditional Hue dishes and get to eat them for lunch, along with other dishes prepared for you by your hosts. 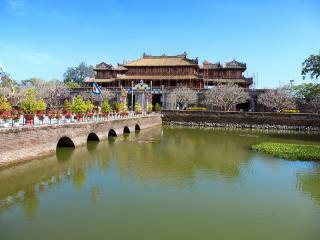 Following lunch visit the tomb of Nguyen Dynasty Emperor Minh Mang. 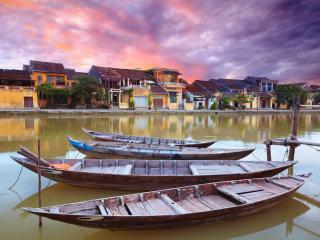 Experience a sunset cruise aboard a traditional sampan vessel as the day ends. 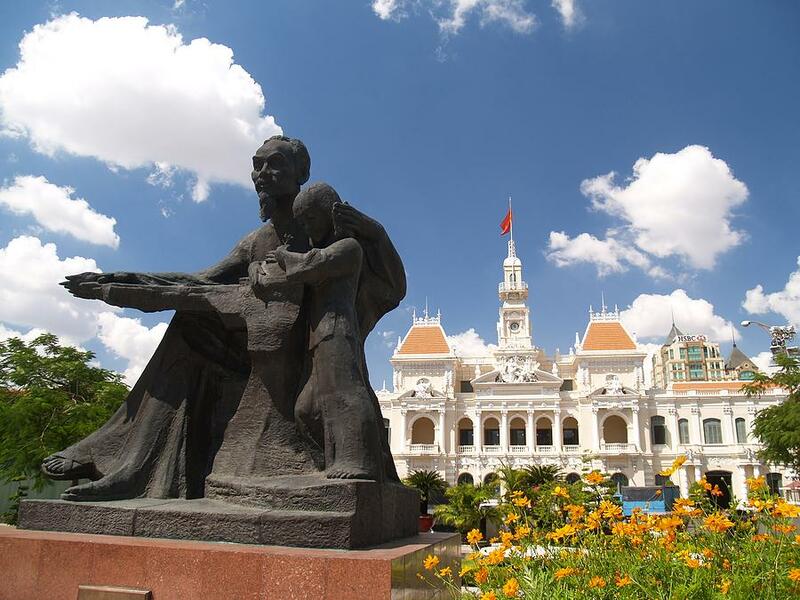 Today you’ll be transferred to the Hue Airport for your flight to Ho Chi Minh City where you will be greeted by your guide and taken to a local restaurant for lunch before checking in at your hotel. 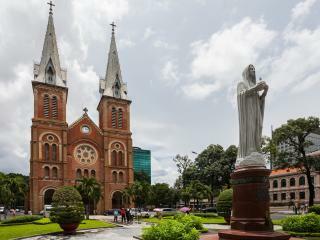 After lunch there’s time to discover the capital of the South including the city’s must see historical sites including the Gustave Eiffel-designed metal structure of the large central post office, the red brick Notre-Dame Cathedral resembling its namesake in Paris, the Palace of Reunification and Dong Khoi Street. 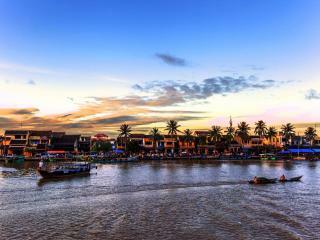 The afternoon wraps up with a visit to Binh Tay Market and Thien Hau Pagoda before dinner at your own leisure. You return to the hotel for your overnight stay. Travelling outside the city by private vehicle, you’ll visit the amazing 250km network of Cu Chi tunnels. Once shelter to more than 16,000 Vietcong guerrillas during the war, the tunnels were originally used for shelter against French air and ground sweeps but went on to serve as storage facilities, communication routes, hospitals and even living quarters for Vietnamese fighters during the American war. You also have the opportunity to descend into the tunnels to learn more about the harsh conditions faced by the Vietcong guerrillas who lived there. You’ll then return to the city centre for lunch at a local restaurant. The rest of the afternoon is yours with time to freshen up before an early evening pick up to discover the lively local streets by night. 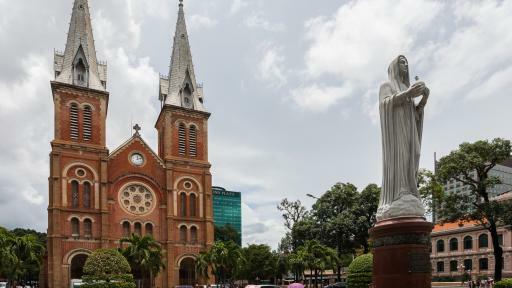 Experience the city as a local enjoying authentic Vietnamese food and practices including dancing exercises in a public park, street food tasting and live music at a local bar. Return to the hotel for your overnight stay. 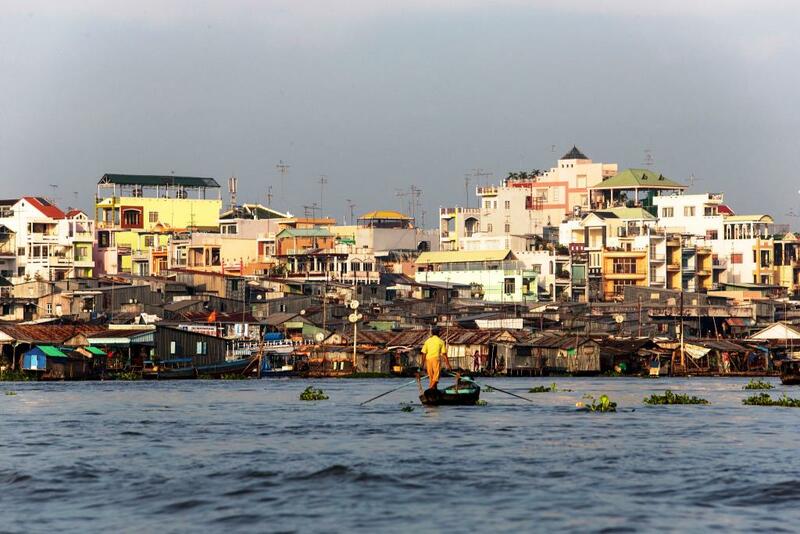 This morning you will be driven 2 hours from Saigon to Phong Nam in Ben Tre District where you’ll begin your expedition deep into the Mekong Delta. Boarding the boat at Phong Nam pier you’ll cruise along the Chet Say River, a branch of the Mekong, and stop at various local workplaces including a coconut activated charcoal factory and coconut processing factory to see how the local economy works. The boat will continue on through a small canal, exploring the local wildlife before stopping at a quiet village where you can enjoy a short walk to experience real Delta village life. Visit a mat weaving house and try your hand at making one before boarding a xe loi motorised rickshaw or biking into the village where you’ll see farms, rice fields and vegetable crops. 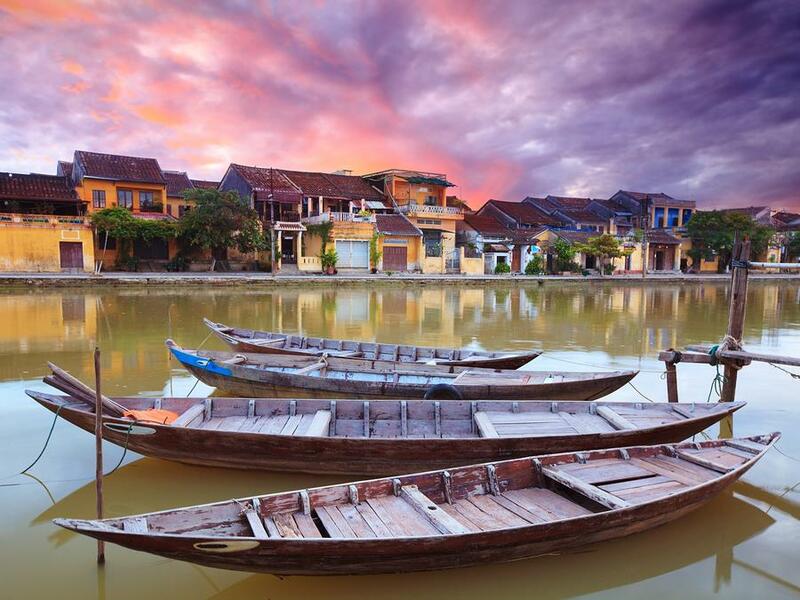 Enjoy a delicious lunch of local specialties such as river shrimp and elephant-ear fish washed down with a beer or a cold drink at a local house before boarding a sampan for a relaxing trip along narrow canals. 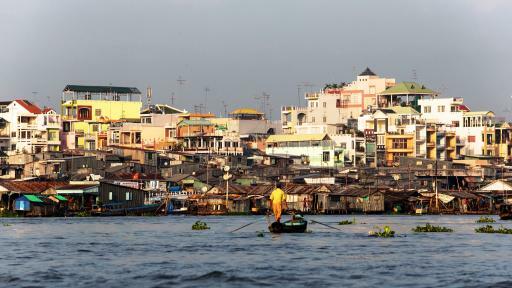 You’ll then take the boat back to the pier and transfer back to Saigon. Dinner is at your own leisure tonight before returning to the hotel for your overnight stay. You will be transferred with your guide to the airport for the connecting flight to your next destination or for your return journey back to your home country. Your hotel room is at your disposal until 12 noon only. Note: This tour does not include the express visa (US$80pp) or visa letter (US$15pp) upon arrival to Hanoi Airport.